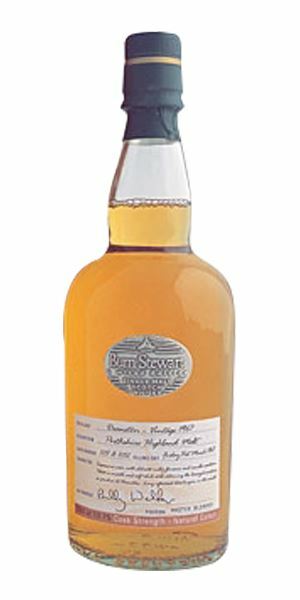 Middle-aged single malts are the theme of this week’s old and rare whisky reviews. Angus MacRaild digs into the archives and unearths three assorted older drams, from the lauded to the obscure to the underrated. Age is a much-debated topic in these NAS-dominated days, but while not all longer-matured whiskies shine brightly, MacRaild argues that, more often than not, many whiskies show remarkably well around the 30-year-old mark. 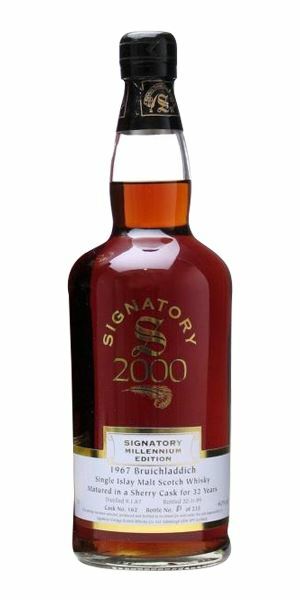 That is epitomised by our first whisky, a 32-year-old single Sherry cask Bruichladdich from Signatory, also distilled in 1967. This has long been appreciated as an exquisite example of distillate and top-notch, old-style Sherry cask working in harmony. MacRaild can’t find any reason to disagree with this common assessment. 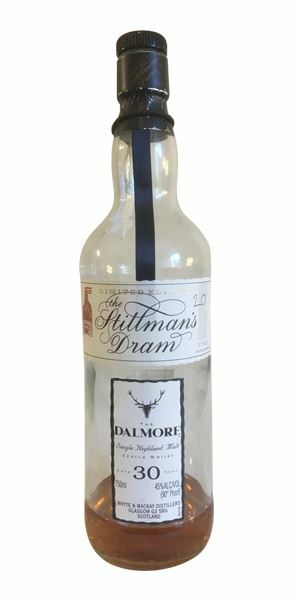 Next under the nose is a Dalmore 30-year-old bottled under the official Stillman’s Dram series for the US in the 1990s. MacRaild finds it to be fine but, given the calibre and ageing potential of Dalmores from this era, something of a let-down. On the flipside is Deanston 35-year-old. Distilled in the year of Deanston’s opening in 1967, this is a little-known bottling from a distillery which doesn’t always earn much street cred among enthusiasts. However, as MacRaild discovers, it’s something of a pleasant surprise. The purest, cleanest, earthiest, saltiest, most beautiful old-style Sherry. Dunnage, walnut wine, an ancient, salty Madeira, prunes, dates, many figs, camphor and a lick of greenery in the form of crushed nettles. Evolves towards game, aged Pinot Noir, black olives, a drop of mandarin liqueur, a scattering of dried herbs and a clutch of wet beach pebbles giving a mineral lift. A perfectly vivid, bright and nervous old Sherry. The freshness of the distillate and the underlying fruitiness keep the two forces in perfect check, though. More of these crushed walnut notes, mineral oil, graphite, Guinness cake and a slice of Selkirk bannock. Sultanas stewed in Cognac and, through it all, an ever-present rancio and aged balsamic character. Still a glimmer of Bruichladdich melon in the background. Long, resinous, salty, sooty and full of dark fruits, particularly raisins and sultanas. It’s a very highly-regarded bottling – and I can see why. This is a pristine Sherry and distillate marriage caught at its pinnacle. The very epitome of how and why age can transform whisky from good to beautiful. Alone with your LPs after dark. More nervous and earthy than you might expect from Dalmore at this age. There’s rather a lot of crystallised fruits lying around, with quince paste, a slightly deft coastal aspect and notes of spiced pears baked in honey, warm brioche and some pleasingly lush green fruits. With time there’s camphor, raisins and waxes to boot. Becomes pleasingly complex. Lots of orange peel, fig rolls, spiced fruit jams, some olive oil and a touch of old ointment and some green pepper. Moves increasingly towards citrus peels, various teas (mint, herbal, green) and little winks of wood spice. As so often with older whiskies, the palate isn’t quite as enchanting as the nose suggests. Medium and all on brown bread, milk chocolate, date compôte and treacle sponge. Not as glorious as I might have hoped, given the pedigree. Still, it’s a fine old dram and shows no sign of being tired or overly woody. It’s more a question of the palate being just a tad lacklustre. Some beautifully vivacious green fruits: apples, pears, ripe banana, melon and guava, all drizzled liberally in honey. Underneath lurks citrus rinds, toasted cereals, trail mix, crushed peanuts and a tablespoonful of pineapple syrup from a tin. Simple and straightforward, but charming and quite unequivocal in its beauty and balance. Juicy and mouthwatering spice. The wood has a clear voice, but it’s clean, vibrant and controlled, with the fruits and more textural aspects all in harmony with it. Waxes, resins, various oils, some black pepper, a suggestion of aged mead and a turmeric-esque earthiness. Lengthy and displaying lemon curd and meringue, white pepper, a few figs and a smouldering whisper of Lapsang Souchong. I’m somewhat indifferent about Deanston, I must admit, but this was a total gem and a great surprise. A perfect example of what great distillate in good refill casks can achieve over time. Joyful whisky! Rare Batch 35 28/03/2018 An impressive, well-matured 1960s trio of single malts from Jura, Springbank and Tamdhu. Rare Batch 33 28/02/2018 Three old bottlings that demonstrate the variety available in whisky’s back catalogue.